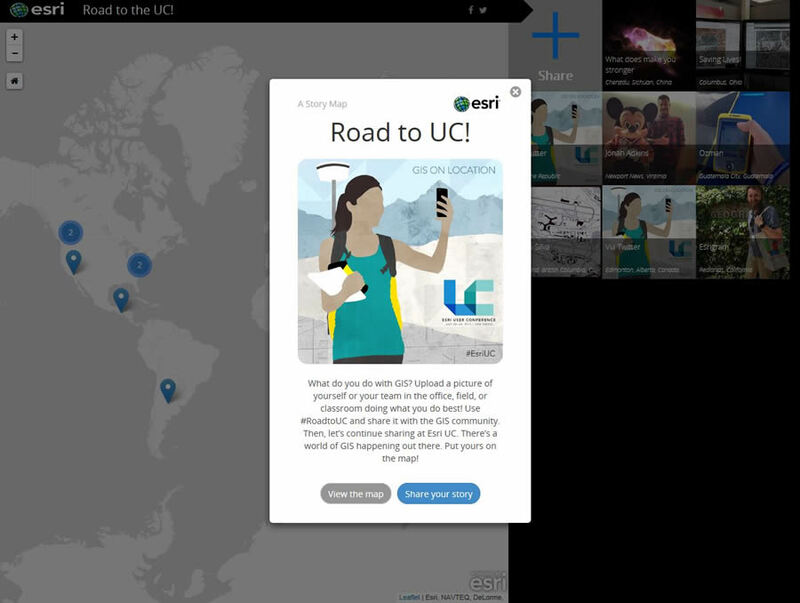 ArcWatch | Where Does Your Road to the Esri UC Start? Put Yourself on Esri's Crowdsourced Map and Connect with Others Heading to the UC! Share your GIS story with Esri. Do you plan to go to the Esri User Conference (Esri UC) in San Diego, California, this summer? Do you want to show your fellow Esri UC attendees where your road to the UC begins and how you use GIS? Put your story on the Road to the UC! Story Map. This crowdsourced map is quickly filling up with stories from people such as Carlos Silva, a GIS specialist at Vancouver International Airport in Vancouver, British Columbia, Canada. He was the first to post. Silva says he is looking forward to attending his first Esri UC after working in GIS for many years. "I'm eager to see what other airports are doing with their tech and implement faster, better GIS apps to help map out our infrastructure for staff." You can sign in via a social media account or as a guest. You can add your story too. Open the Story Map in your favorite browser. You will see a title screen and two buttons: View the map and Share your story. If you click either button, you can sign in with Facebook, Google Plus, Twitter, or as a guest. Create a title for your post, add a description of your work in 200 words or fewer, and upload a photo or image from your computer or an online source. 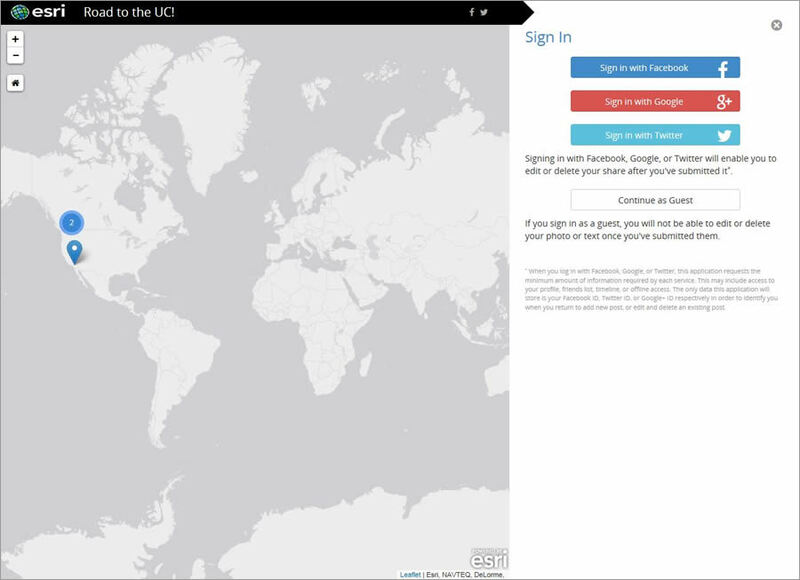 Add your city and state or country, and a pin for your location will appear on the map. Browse the map frequently to see what others are doing with GIS around the globe and make some connections before you hit San Diego for the biggest gathering of Esri software users in the world. The Esri UC will be held July 20-24, 2015, at the San Diego Convention Center, so register today. Connecting with others before the event will help you make the most of your time and find mentors in your industry.